Store-bought marinades and sauces have an ability to jazz up the simplest items. But after a while, those favorite tastes seem a bit repetitive and mundane, and that got us to experimenting with different add-ins to make our marinades stand out. Fruits, herbs, spices—all of the usual suspects were delicious, but not spectacular. Once we decided to incorporate a bit of booze into the mix, however, we discovered that this simple addition was the missing link. Alcohol binds all kinds of tasty compounds in food and, since it evaporates quickly, it floats them up into your nose, making the food smell even better. And since food is just as much about smelling as it is about tasting, this increase in aroma only serves to further heighten the flavor of your dish. Best of all, only a small amount of alcohol is required to create this awesome effect—a tablespoon or two will do the trick. 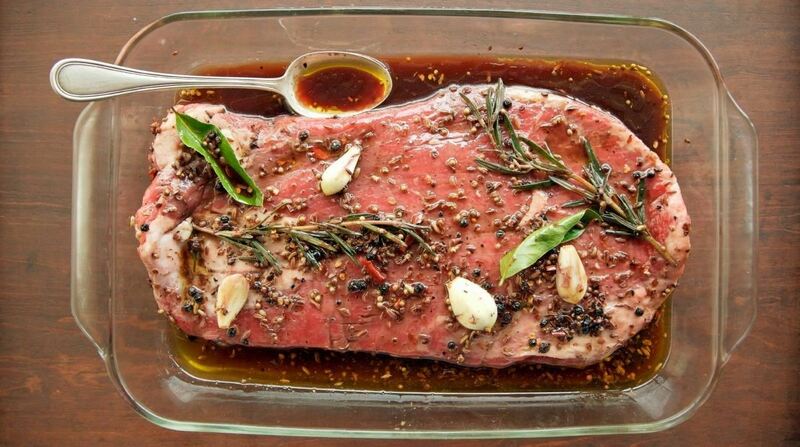 When marinating, try to think about what you enjoy drinking while eating those particular items. This will help you to pair the flavor profiles. With soy sauce as a base, and features of fresh garlic, fresh ginger, and pineapple to sweeten things up, Island Soyaki is a wonderful marinade for meat all on its own. 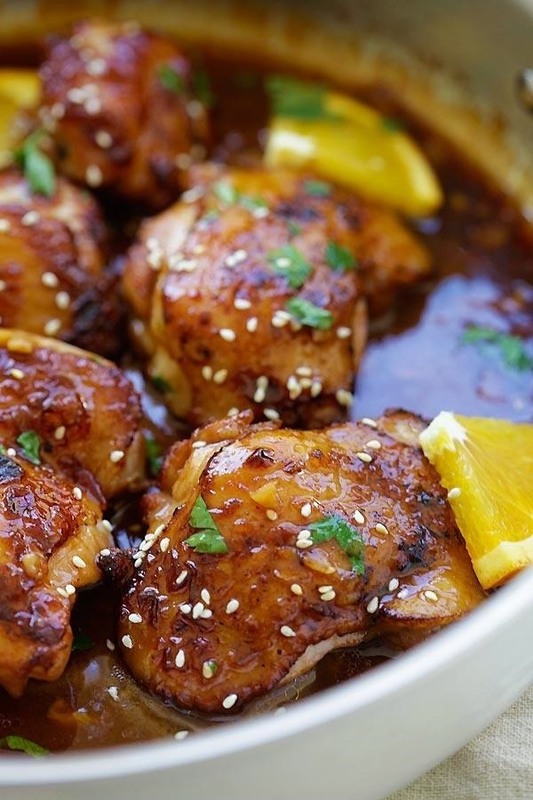 Throw in a splash of your favorite beer, however, and you'll be shocked at how much better this solid marinade can become—the rich, umami base of the marinade pairs extremely well with the malty notes of the beer. Use this combination on chicken, pork, or a skirt steak; we recommend adding a little brown sugar to not only add a little extra sweetness, but to enhance the Maillard reaction on the meat's surface when cooking. And don't forget to add some toasted sesame seeds at the end for a pleasant crunch. Bourbon is aged in charred oak barrels, which impart a sweet smokiness to the liquor due to the caramelization of the wood sugars. 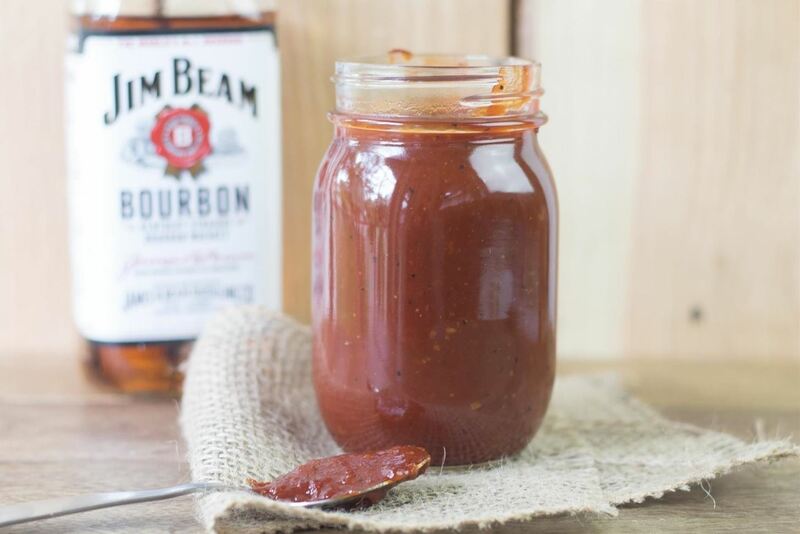 So it makes perfect sense that a bit of Jim Bean would pair well with the sweet molasses taste of some store-bought barbecue sauces. We like to add red chili flakes or cayenne to throw in even more complexity and a hint of spice that's not too overpowering. Use this powerful combination on ribeye and ribs. It's also good on chicken drumsticks, served with a crunchy, pickle-filled potato salad. Orange sauce is an extremely popular Chinese-style sauce—its citrusy, crisp flavor is usually mellowed out by a fair amount of sugar. But we find that the addition of sake or rice wine not only mellows out the bite, but enhances the complexity of the sauce as well. The smooth grain of the sake goes beautifully with the sweet tang of the citrus in this combination. Put it on chicken or pork over rice and serve alongside a floral sake cocktail for maximum enjoyment. Much like a squeeze of fresh lime juice brings out the flavors of that tequila in your margarita, so too does Lawry's Baja Chipotle with Lime marinade when combined with a bit of tequila. The complex, smoky flavors of the chipotle pepper pair well with the sweet flavor of this agave-based liquor. If you don't have this particular marinade on-hand or prefer to try your hand at a homemade version, check out Tasty Kitchen's recpe. 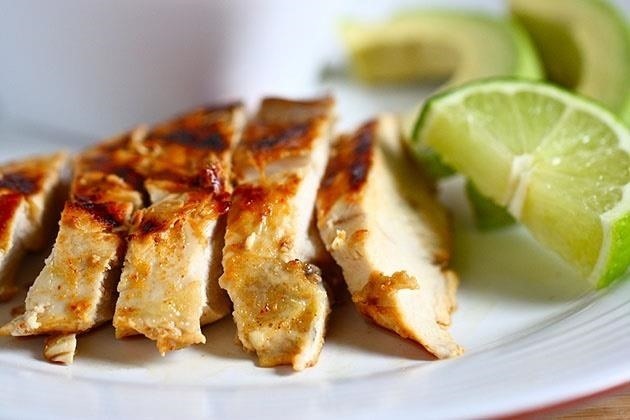 Just add some guacamole, chips, and margaritas to the equation, and you're all set! If you love the classic combination of cool shrimp and tangy cocktail sauce, then you'll be pleasantly surprised at how much better this famous appetizer can be with a bit of vodka. 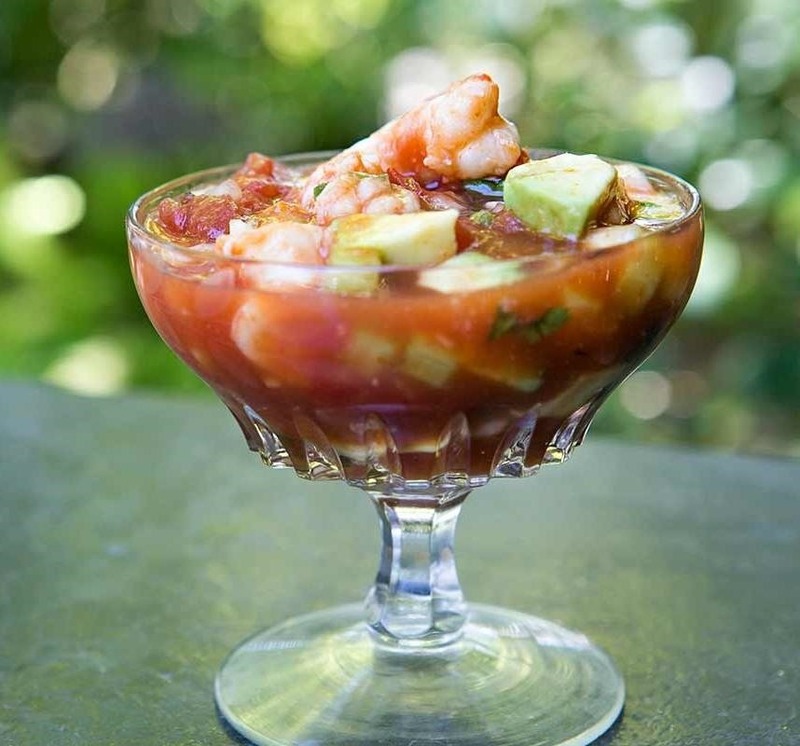 The vodka, when added to cocktail sauce, adds a bite that contrasts the sweetness of the shrimp in a delightfully adult way. Add creamy avocado chunks and a squeeze of lemon to the equation, and you'll swear up and down that it's the best shrimp cocktail you've ever tasted. Booze is often the difference between a dish that's 'good' and a dish that's amazing. Just incorporating a small amount into your sauces and marinades will make your cooking something your friends and family won't soon forget. 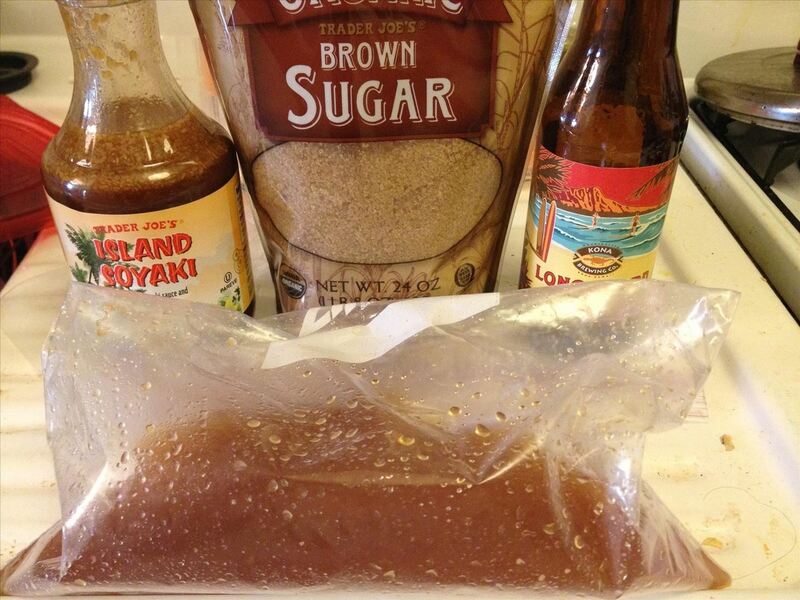 Do you use alcohol to enhance your ho-hum sauces or marinades? Let us know what your favorite combinations are in the comments below.